HTTPS is a communication protocol, widely used in modern web applications. Web applications like shopping carts, social networks, and other portals etc, use HTTPS protocol to transfer secure information over the Internet. HTTPS uses TLS/SSL protocols. In a previous article, you learned Nodejs twitter login with passportjs. 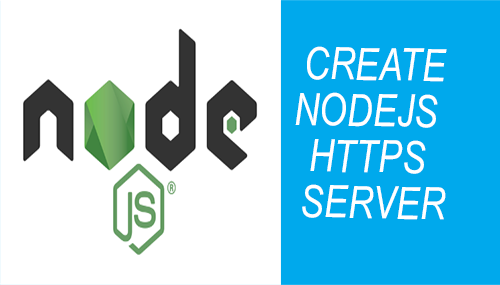 In this article, you will learn, how to create nodejs https server on localhost. OpenSSL is used to create SSL certificates. In this article, following tasks are performed. To generate SSL certificates, you need to install OpenSSL, Visit OpenSSL download page, download and install it. On Windows 64-bit operating system, you can install Win64 OpenSSL v1.1.0h Light. To generate certificate.pem and privatekey.pem files, run the commands given below. while pressing Enter key you can choose default values. The next command to generate SSL certificates for nodejs https server. The commands above will create privatekey.pem and certificate.pem in the bin directory. Due to privacy reasons, certificate files are not provided with source code. 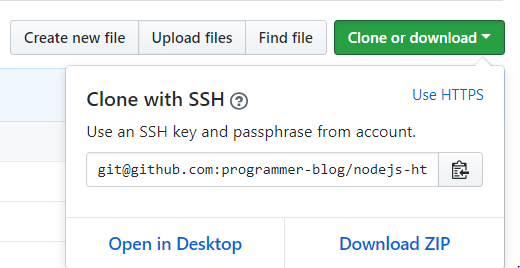 To install NodeJS on your computer, visit nodejs.org. Download latest NodeJS version, run the installer. 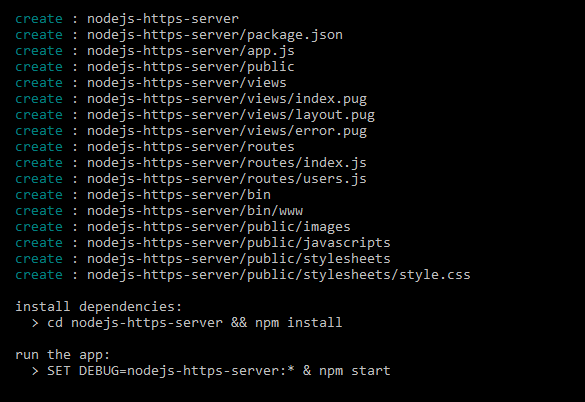 With NodeJS installation, NPM or Node Package Manager is also installed. It is used to manage and install dependencies and packages. After NodeJS installation, install express-generator. This command line utility is used to generate a nodejs, expressjs app. Create an expressjs application nodejs-https-server. Pug is a template engine, used in ExressJS applications. Next, install required packages and dependencies. You can run the application by executing the command below. Nodemon module watches file changes in a directory. It restarts the nodejs application if any change in a file is detected. Otherwise, each time you have to stop and restart nodejs application manually. To run the application, open the command line, navigate to project root directory and type. Create a directory named, keys in the project root. Copy privatekey.pem and certificate.pem file from C:\OpenSSL-Win64\bin to this directory. Open www file in bin directory. Add following require the statement in the file. Add https options and fetch certificates using fs.readFileSync method from keys directory. In https.create method httpOptions and app parameters are passed. Https server is created. If nodemon is not already running, run it on command line. While accessing this site first time on Google Chrome, you will see a screen like this. Click on Advanced, and then click on Proceed to localhost (unsafe). You can view the homepage as below. Next open browser and type URL using https protocol. You can view user’s page with https. 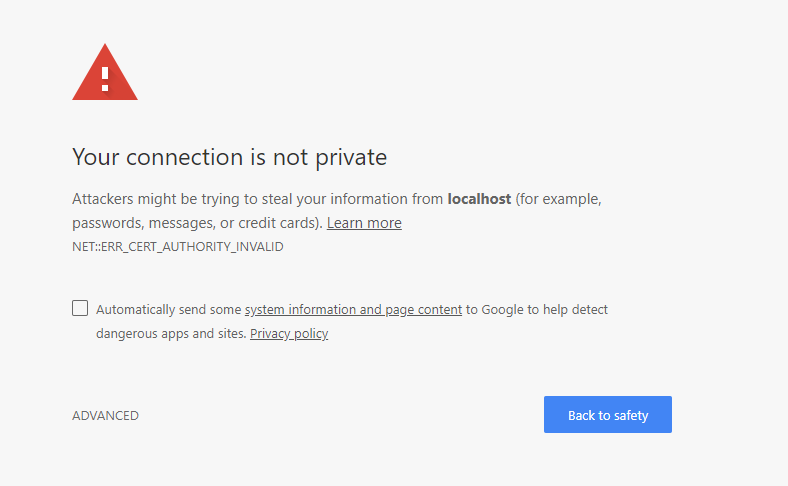 In this article, you learned to create a nodejs https server on localhost using OpenSSL. First, OpenSSL was downloaded and installed on the local computer. Certificates were generated using Windows command line. A Nodejs, Express application is generated using express command line tool. A nodejs https server is created. Private and public keys were added as options. You can find the source code of this article on GitHub. You can clone or download from this link. Please leave your feedback. Subscribe to our newsletter, like us on Facebook or follow us on twitter to stay updated on latest articles.